Brand New High Quality Cable Pulley Set 180kg max lifting capacity. 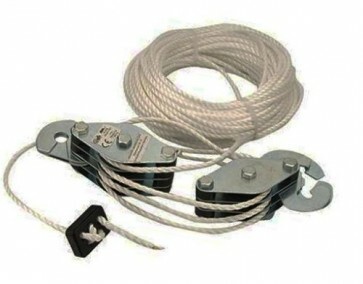 19.8m polypropylene lifting cord on zinc-plated steel runners. 6:1 mechanical advantage.